Vertical City: A Solution For Sustainable Living is a massive - 9” x 12”, 619 page - multicolor, seminal work that is hard bound and beautifully printed. This bilingual book, written in both English and Chinese, contains over 200 photographs, charts, sketches and diagrams that illustrate the emerging technologies of vertical cities and their potential implications for society. 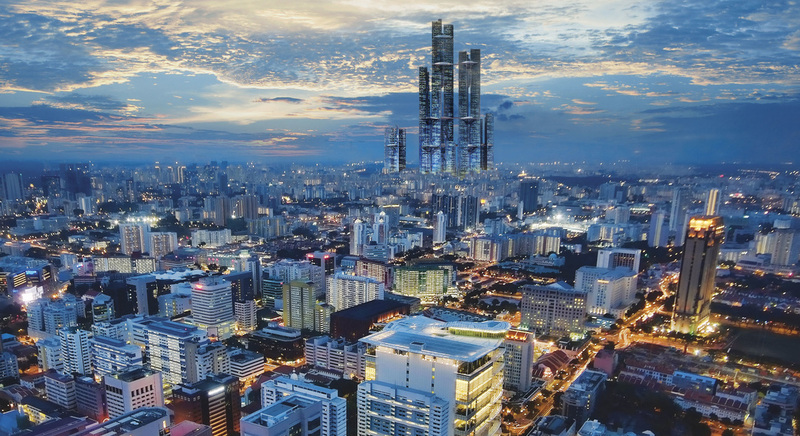 Rendering of Vertical City in Singapore. Credit: VerticalCity.org.